Nearly a century after they’d been driven extinct in the United States, 66 wild wolves captured in Canada were reintroduced to Central Idaho and Yellowstone National Park in 1995. The result was nothing short of miraculous. During their 70-year absence, deer overpopulated and overgrazed Yellowstone (and much of the rest of the country) destroying the landscape and causing countless other species to disappear. This allowed the vegetation in those areas to regenerate. The height of the trees there increased 500 percent in six years. Bare valley sides were reforested. The trees brought back songbirds and beavers. “Beavers, like wolves, are eco-system engineers, creating niches for other species,” says the narrator of the Sustainable Human video above. The beaver dams provided habitats for otters, ducks, fish, reptiles and amphibians. 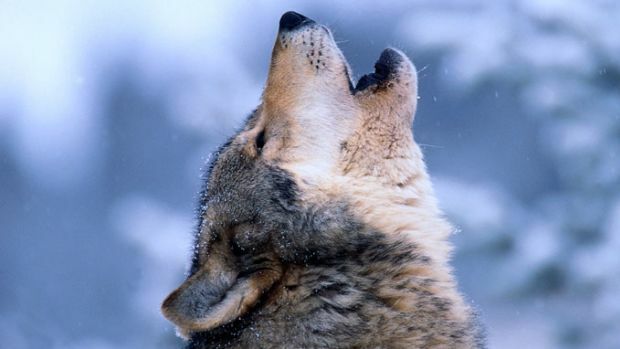 The wolves also killed coyotes, increasing the number of rabbits and mice. More rabbits and mice meant more hawks, weasels, foxes and badgers. Ravens and bald eagles came down to feed on the carrion of the wolves. The carrion – as well as berries on regenerated shrubs – allowed the bear population to grow as well. The bears also helped the wolves keep the deer population in check by going after their calves. Most amazing of all, the wolves even changed the course of the rivers. Because of the regenerated vegetation and trees, there was less erosion. Channels narrowed and pools formed. Banks collapsed less often, making the rivers less meandering and more fixed in their course. All of this attracts wildlife. You won’t find better proof that you can’t mess with Mother Nature. She creates delicately balanced ecosystems that rely on every species she gives life to, even those with sharp teeth. Why do you call the ELK a deer in the wolf chase? There are deer in Yellowstone too. The elk, is one of the largest species within the deer family, Cervidae, in the world, and one of the largest land mammals in North America. A beautiful testament to the complexity of nature. And that’s all the comment it gets?!! What scientific evidence or testimony from Wildlife Biologists did you collect for this opinion? We are students of natures perfection. Thank you for putting it all in perspective.